Melloy Dodge: Oil Change Intervals: How Many Miles Should You Drive? Oil Change Intervals: How Many Miles Should You Drive? Oil changes are inexpensive and simple tasks, yet many people disregard their car’s need for them and forget to have regular oil changes. However, delaying an oil and filter change can eventually be so detrimental to a vehicle that it can seize the engine. Old oil becomes dark and full of various debris. The debris can get into the internal parts of the engine and destroy them. Repairs for seized engines are costly and are preventable with a proper maintenance schedule. 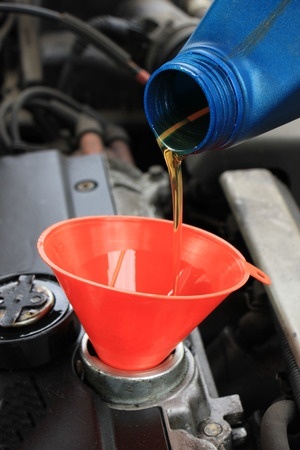 Therefore, knowing when your vehicle needs an oil and filter change is important. In previous decades, manufacturers often recommended an oil change every 3000 miles or three months, particularly if you drove more in the city than at highway speeds. The change at 3000 miles ensured that consumer engines would stay clean and revitalized. Recently, manufacturers advise that many vehicles can go up to 8000 miles before having an oil change. Most car makers recommend the oil and filter change every 5,000 to 8,000 miles as sufficient to keep the engine parts lubricated. To be safe, always read your owner’s manual and follow those guidelines to maintain your car or truck’s warranty. Synthetic oil can extend the period between oil changes as well, but again, follow the manufacturer’s recommendation for your vehicle’s engine. Melloy Dodge is the leading dealership in New Mexico for Dodge and Ram sales and service. Our service department offers Express Lane oil changes—no appointment is needed! The Express Lane is open on weekdays from 7:00 am to 6:00 pm and on Saturday from 8:00 am to 5:00pm. For service questions, call the Melloy Dodge Service Center at 888-760-4136 or schedule online. Our service technicians are trained in service for all makes and models of automobiles. The certified mechanics can conduct oil changes and other services for vehicle owners in the area to help them keep their cars in shape.